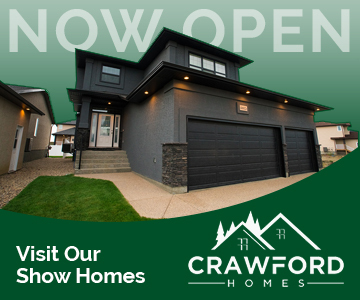 Learn more about home building and homes for sale in Regina: Crawford. Crawford Homes, 2018 Master Award finalist for Customer Satisfaction for a Large Volume Builder! Spring 2018 "You're Home" Show Home Feature!